Tea for two and a piece of cake. Click, then right click (view image) and click again to enlarge. Here it is finally! My baby which I mentioned in the previous post :) Pre-orders are now open! You can place your order here and you can pay cash on delivery. 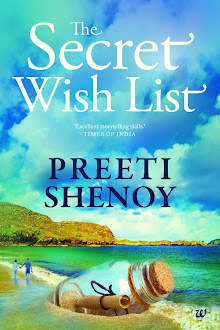 All the pre-ordered copies from Flipkart will be signed by me! Must say - An amazing title. Makes you sit up and take notice suddenly at the same time making you wonder what is it all about. Wish you all the success with this!! I am absolutely in love with the cover and the title! Congratulations, Preeti! Really, how do you do it? The title itself is totally gripping, let alone the book! I simply loved the book cover! Who did the photograph? Can the orders be made in amazon? I wish you have a shelf full of books published with you as an Author. p.s. btw its never to late to greet happy new year. your book life is what you make it made me cry when our friend drops out from her MBA course.i too got dropped from such a course from DU and went on to do the same from an unknown entity IIPM which is now famous. I will buy your third book certainly. Some day not far I plan to write too and desire to take tips from you.Will you give them ? lots of luck and regards. Wow.. The title is amazing and the cover page is awesome.. waiting to lay my hands on it..
Good Morning! wow what a morning..I did pre-ordered ur book right away and am waiting eagerly for 14th feb.The title and descriptions are only adding to my eagerness to hold ur baby in my hand.. :) awesome Title!! Am pretty excited cos this will be the first time I will have a book signed by an author :). Looking forward to reading it. A cool title and much cooler cover. And I loved the author pic too. Congrats on all your achievements and I wish you the very best to achieve more and more in the coming years. Loved the cover !!! Too beautiful!! Awaiting for the signed copy!! Had already pre-ordered it this morning, before i read this! Congratulations! Smart cover and interesting title indeed. Definitely in my reading list. Very well done - kudos on all the hard work and sincere efforts.....you are an inspiration! 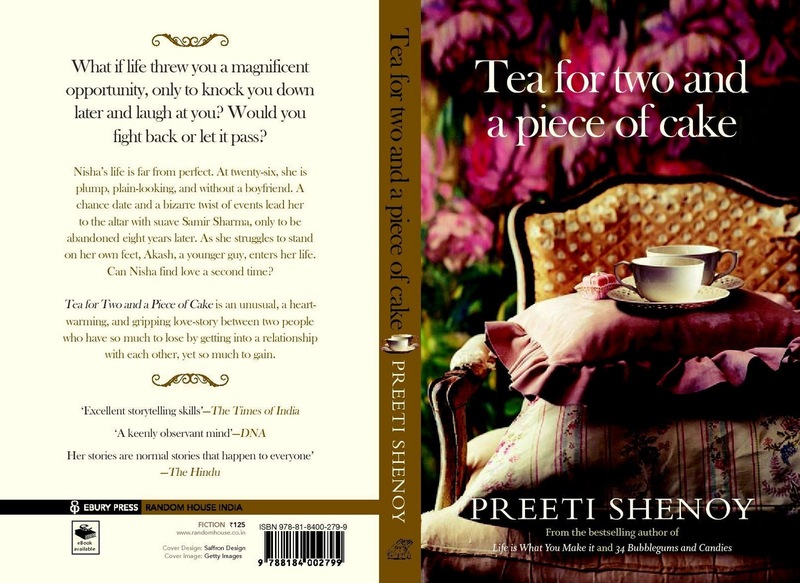 As much as I fell in love with its title when I first read it - 'Tea for two and a piece of cake', I actually savored vanilla cake with tea in my thoughts and I wanted to say, Whatta delicious title Preeti! And now when I saw its cover, the *pink* totally took me through! Absolutely loved it! The cover page itself is awesome!!!!! veryy vaptivating! Looking forward to reading the book.. The book cover is gorgeous and there's such a good-feel abt it as soon as one see's it. Loved the book cover. I am sure the book would be amazing too. Congrats Preeti on the third one. sipping tea gives you enough breaks during conversation as well ! The conversation is just right because the cup of tea is small...the timing is about right. a cup of tea is sometimes an excuse to get a business deal as well. O boy ! this can turn into a post as well - i will get to it. A third book? 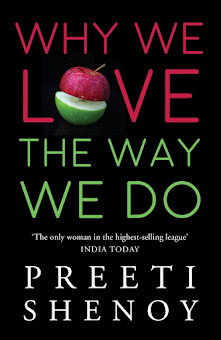 Oh Preeti you're such and inspiration! Tea for two (and a piece of cake) Tuesdays!